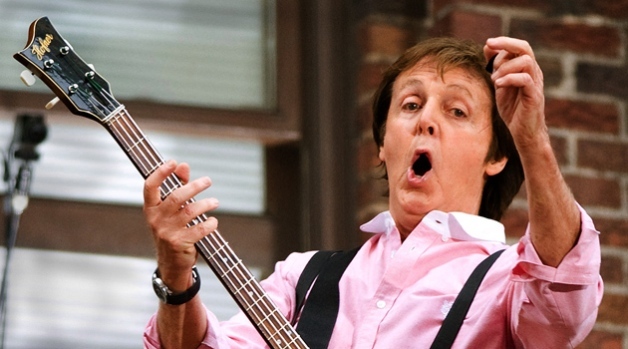 With a little help from its lawyers, EMI is going after a website for selling Beatles songs. All you need is love ... and of course permission from EMI and the Beatles to sell their music online. But that hasn't stopped one website from cashing in on the Fab Four's catalogue, and now everyone's heading to court. EMI has filed a copyright infringement lawsuit in Los Angeles federal court against BlueBeat.com, which started selling Beatles songs online for 25 cents per song last week. EMI's lawsuit contends that BlueBeat.com violated federal copyright law by offering the Beatles catalog without permission. Also named as defendants in the suit are Bluebeat's parent company, Media Rights Technology Inc., and Media Rights chief executive Hank Risan. For years, the Beatles catalogue has been held in digital purgatory as we wait for the band and EMI to reach an online licensing agreement. In the meantime, they continue to re-re-re-release compilation albums, box sets, compilation albums, and a few more box sets. And if CDs aren't your thing, don't worry. Apple and EMI are releasing songs via USB drive. It may be a cute-looking apple USB drive, but how many times can we buy the same catalogue? Seriously.